Al Qaeda sympathisers are planning to produce a children’s cartoon film to inspire young Muslim viewers to take up armed violence against the West, security specialists who monitor militant websites say. Such a development would add to an expanding repertoire of media tactics employed by the trans-national group, which is placing increasing reliance on online propaganda to shore up support in the absence of successful attacks in the West. The British counter-extremism thinktank Quilliam said news of the planned movie was announced by a contributor calling himself Abu al-Laith al-Yemen on the password-protected Arabic-language al-Shumukh online discussion forum on Sunday, Reuters reports. Al-Yemen said he and several associates were in the final stages of creating a cartoon about al Qaeda’s Yemen-based branch that would teach children the history of al Qaeda and inspire them to commit acts of terrorism, Quilliam reported. “The cartoon movie ‘Al-Qaeda in the Arabian Peninsula’ (AQAP) is a very exciting story that tells the facts about who let down the Islamic religion and the Prophet, and how the Arab leaders are agents of the West and other Islamic issues,” Quilliam quoted al-Yemen as saying. “This movie is a religious effort to educate our sons and youth about how to live a noble life under the shade of the Sharia. It’s an alternative to the poison that is broadcast by other TV channels broadcast to our children and youth,” he said. Will McCants, a leading scholar of militant Islamism and former U.S. State Department adviser on countering violent extremism, said he had not seen “anything like it” before and was very sceptical the proposal was a real product. “But if it’s legit and anywhere near like the purported screen shots and promotional banner, it would indicate that AQAP is becoming even more sophisticated in its efforts to reach out to youth,” he wrote on the Jihadica.com website. AQAP, composed largely of Yemeni and Saudi nationals, is waging an armed campaign to topple the Yemeni government and is responsible for several attempted bombings of Western targets, including a failed 2009 bid to down an airliner over Detroit. But it has also helped to spearhead al Qaeda’s use of the Internet by producing sophisticated Arabic-language propaganda and a snazzy, teen magazine-style online publication called Inspire, which is produced in English. The group uses the Web not only to recruit and coordinate, but also to produce sophisticated propaganda, often downloading and re-editing Western media footage, to shore up morale among its globally scattered community of supporters. In a statement, Quilliam analyst Noman Benotman said many Muslim parents would see the venture as a direct attempt by al Qaeda to create divisions within families and to undermine the authority of parents. 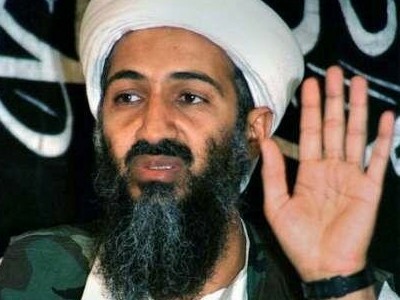 “Al Qaeda’s plan may backfire,” said Benotman, a former Islamist militant and associate of Osama bin Laden. While online cartoons could help get complex messages to various audiences, including people who don’t read newspapers, this venture may show al-Qaeda “can no longer attract new followers in much of the Arab world,” Benotman said.